MarkerBot opened this store in Boston on November, 22 2013. There is now 3 such stores in USA (New York, Greenwich and Boston). You can of course buy MakerBot 3D printers, filaments, but there also some 3D printed gifts and some workshops seem to be regularly organized as well. The shop is located in one of the most famous street for shopping in Boston (144 Newbury Street). Beyond the fact that the MakerBot outlet is contiguous to fashion boutiques (being the only computer hardware shop for miles around), the idea is mainly to democratize the ownership of a 3D printer, trying to morph 3D printer into the fridge of the 21st century. 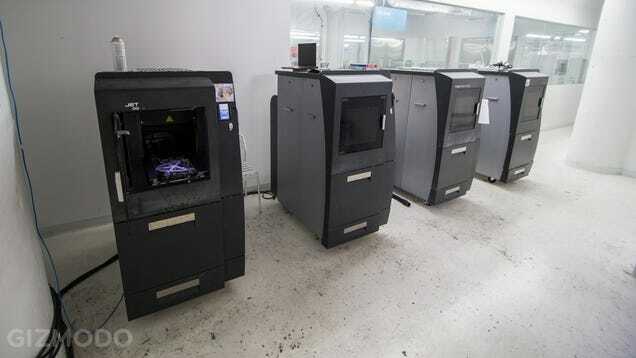 "A once-shuttered warehouse is now a state-of-the-art lab where new workers are mastering the 3D printing that has the potential to revolutionize the way we make almost everything." This is the first line you'll hear when you start playing the 39-second voice clip from "voice sculptor" Gilles Azzaro's Next Industrial Revolution, an artistic reworking of President Barack Obama's 2013 State of the Union Address. Though you'd probably never realize it without the audio, they're also the first words you'll "see" if you walk past the glass case holding a mountainous 3D-printed translation of the clip. 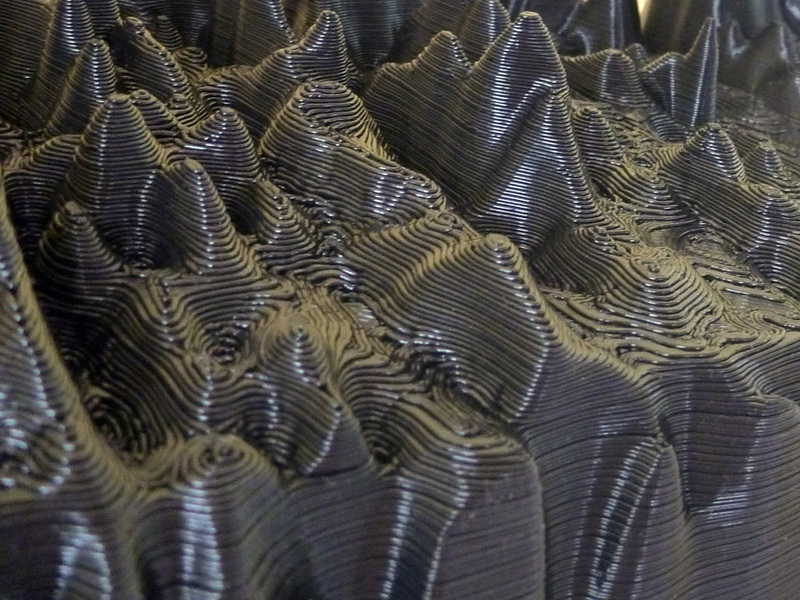 Azzaro tells Wired UK that he began working on his piece the day after the address, converting Obama's voice print into a 5-foot, 22-pound sculpture whose 3D-printed ridges make it jagged from afar and lushly layered when magnified. Azzaro explains his process and ideas to Wired, but you can watch Next Industrial Revolution being made and played for yourself, and Azzaro's website holds more pictures of this and other "voice sculpture" work. Another day, another 3D printer. This time we have a model that comes from SUNY Purchase College where they are working on a laser-cut, compact 3D printer that can make extra tall models simply by swapping out a few pieces. 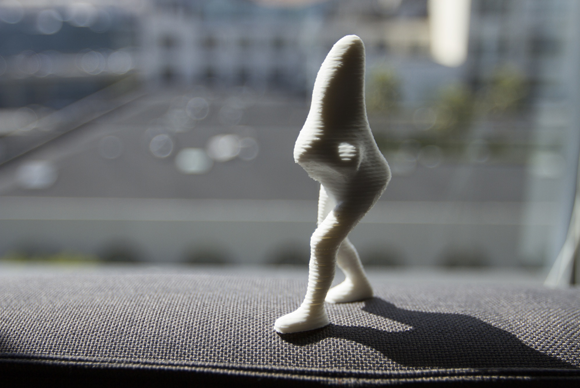 The printer pumps out plastic at 100 microns, a more than acceptable resolution, and uses very few moving parts. You’ll notice that the print head rides up three rails. This would allow you to add longer bars or extensions to bring things bigger than the platform. Created by students Shai Schechter, Andrey Kovalev, Yasick Nemenov and Eugene Sokolov, the project is currently in pre-beta and they aim to launch a crowdfunding campaign in November. You can sign up for updates here. The team hopes to make the product completely open source and because it uses very few expensive parts they’re able to price it very aggressively. 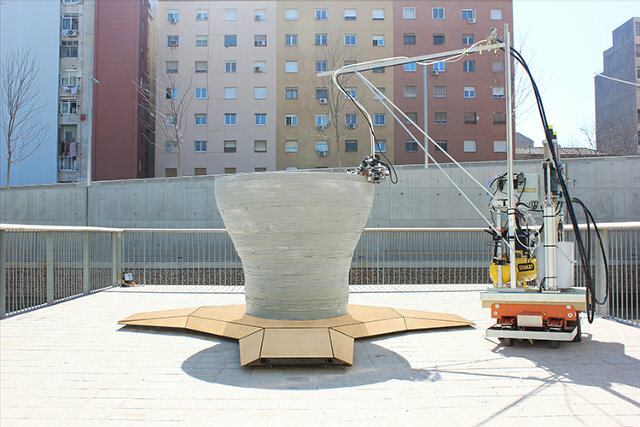 While I love projects like these, I’m anxious to see how they build their software – one of the most important parts of a 3D printing package. As long as it’s solid I’d totally be down with this cool rig. MakerBot is best known for its 3D printers, turning virtual products into real ones, but the company’s latest hardware to go on sale, the MakerBot Digitizer, takes things in the opposite direction. Announced back in March, and on sale from today for $1,400, the Digitizer takes a real-world object and, by spinning it on a rotating platform in front of a camera, maps out a digital model that can then be saved, shared, modified, and even 3D printed itself. Although the process itself involves some complicated technology and data-crunching, MakerBot claims that users themselves should be able to scan in an object in just a couple of clicks. 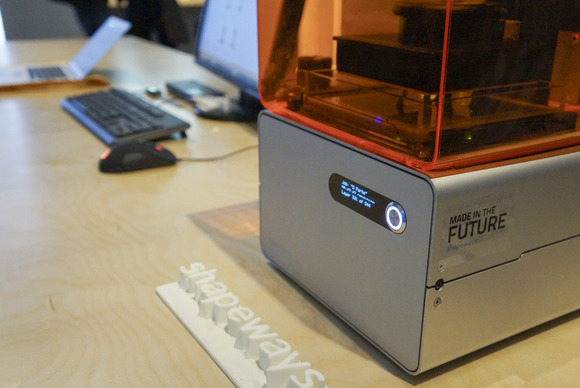 The company includes its own MakerWare for Digitizer software, which creates files suitable for both the firm’s own 3D printers and generic 3D files for other hardware. Calibration is a matter of dropping the included glyph block on the rotating platter and having the camera run through some preconfigured tests. After that, you center the object you’re hoping to scan, selecting whether they’re lightly colored, medium, or dark, and then waiting until the process is done. That takes approximately twelve minutes per object, MakerBot says, so don’t think of this as the 3D scanner equivalent of a photocopier. The camera itself runs at 1.3-megapixels and is paired with two Class 1 lasers for mapping out objects, and the overall resolution is good for 0.5mm in terms of detail and +/- 2.0mm for dimensional accuracy. Maximum object size is up to 20.3cm in diameter and the same in height. 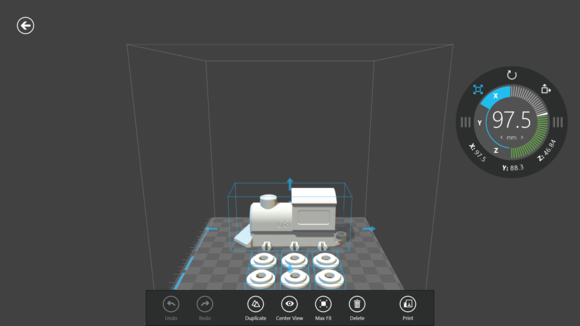 Once you’ve actually run something through the scanner, the core grid file can be shared directly from the app to Thingiverse.com, or edited and combined with other 3D files to make a new object altogether. 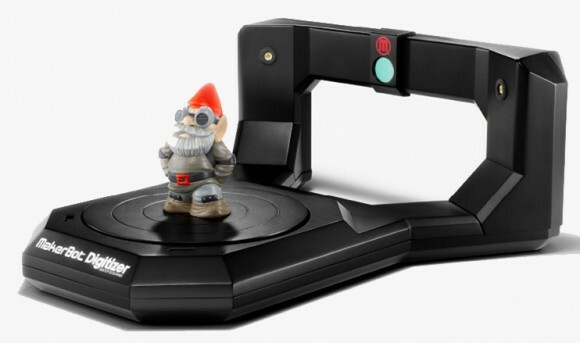 The MakerBot Digitizer Desktop Scanner is available for order now, priced at $1,400. 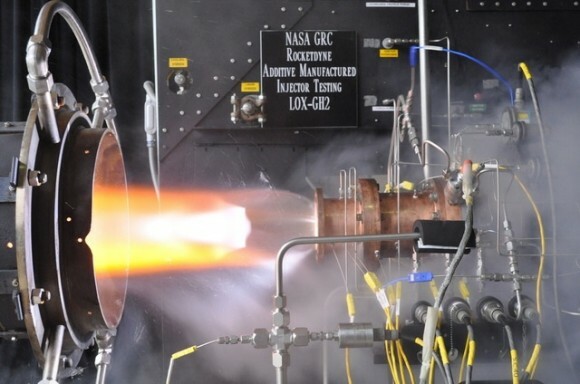 In the latest of 3D-printed hardware, NASA has completed a series of test firings of the agency’s first rocket engine part made entirely from 3D printing. The component in question is the rocket engine’s injector, and it went through several hot-fire tests using a mix of liquid-oxygen and gaseous hydrogen. However, NASA didn’t use ABS plastic that most 3D-printers use. 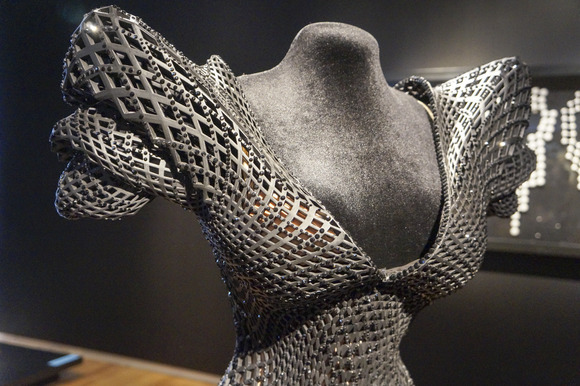 Instead, the agency used custom 3D printers to spray layers of metallic powder using lasers. 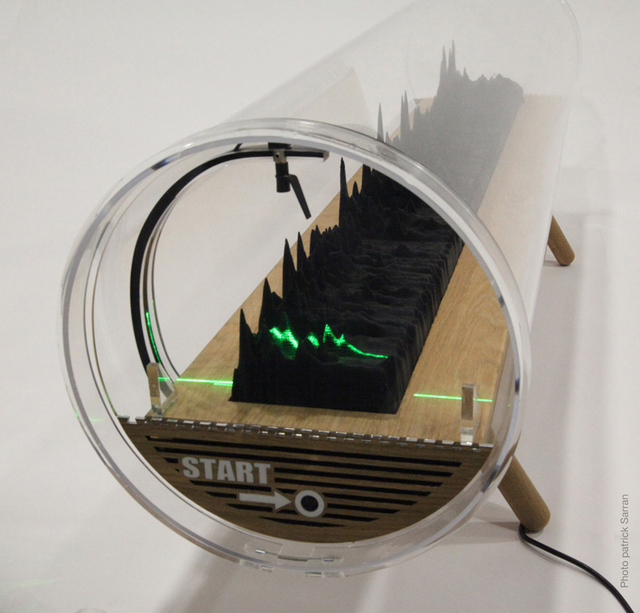 The lasers spray the powder in a specific pattern in order to come up with the desired shape for an object. In this case: a rocket engine injector. The testing was done at NASA’s Glenn Research Center in Cleveland and the project is in partnership with Aerojet Rocketdyne. The company designed the injector and used 3D printing to make the component a reality. If they were to make the injector using traditional manufacturing processes, it would take over a year to make. With 3D printing now an option, NASA and Aerojet Rocketdyne are able to make the same component in just a matter of four months or less. Costs are a huge factor too, and the 3D-printed reduces costsby up to 70% compared to traditional methods and materials. This could lead to more efficient and cost-effective manufacturing of rocket engines. NASA didn’t say what was next for the 3D-printed injector as far as testing goes, nor do they have a timeline for when they expect to officially implement the new technology in future rocket engines. We can only expect them to implement it sooner rather than later, but it could take several more years until it can be fully operational and on its way into space. 3D printing is awesome, yet it still has a lot of untapped potential -- you can use it to create terrifying spiderbots and even tiny drones, but you can't make electronic components out of pools of plastic. 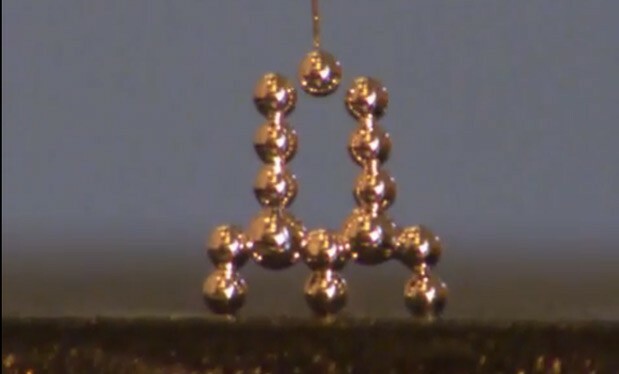 Thankfully, a team of North Carolina State University researchers have discovered a mixture of liquid metal that can retain shapes, which could eventually be used for 3D printing. Liquid metals naturally have the tendency to merge, but alloys composed of gallium and indium combined form a skin around the material. 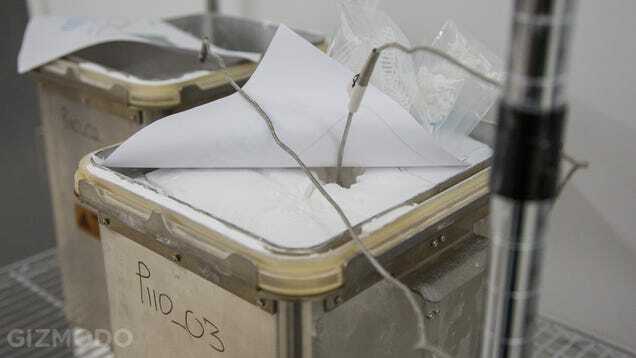 This allows researchers to create structures by piling drops on top of each other using a syringe, as well as to create specific shapes by using templates. 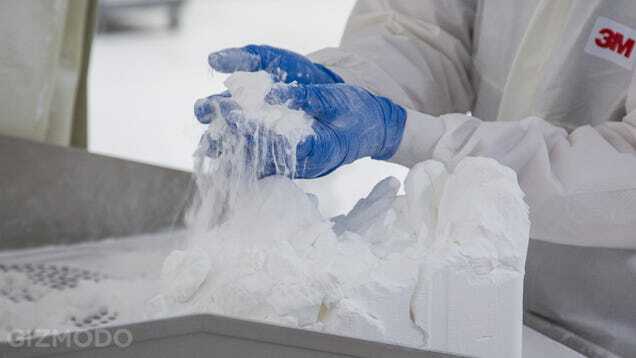 The team is looking for a way to use the mixture with existing 3D printing technologies, but it might take some before it's widely used as it currently costs 100 times more than plastic. We hope they address both issues in the near future, so we can conjure up futuristic tech like bendy electronics, or maybe even build a body to go with that artificial skin.